Welcome to the UTM University page. This is your one stop shop for training videos, tips, techniques to become a better softball player, coach, leader, etc. We will be refreshing this content every couple of weeks. We welcome user driven content as well, so if your team has practice drills or demos you want to share with the softball community send them to us and they can be added to sections within this new page. UTM will be designing this page in the fall of 2018, with an expected launch date of early in 2019. Via our news feed and social media we will communiate when this page will officially launch. 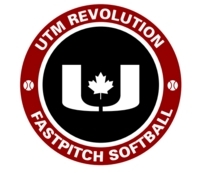 We look forward to working with several experts in the softball community to put together a great page, that can be used by all to improve the level of our game in Ontario. Keep checking back in for more content in the coming weeks!